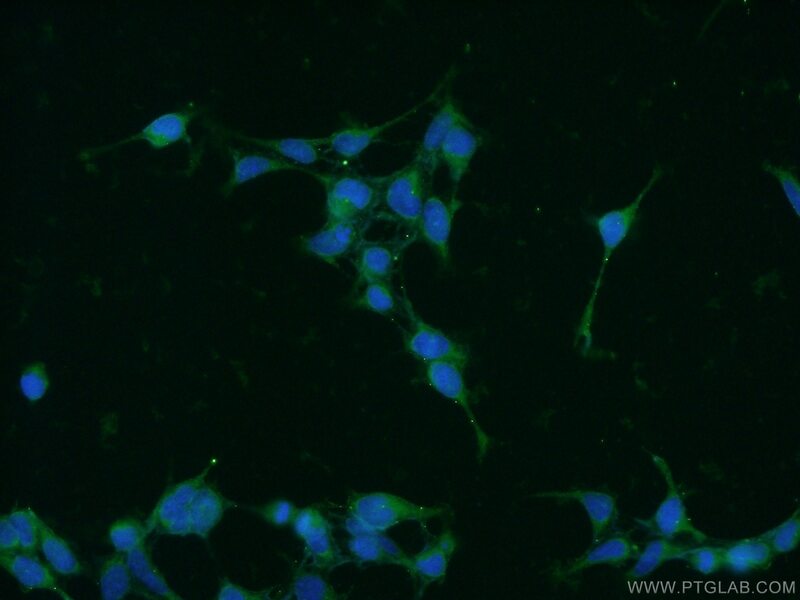 IP Result of anti-PIN1 (IP:10495-1-AP, 4ug; Detection:10495-1-AP 1:500) with HepG2 cells lysate 2400ug. PIN1(Peptidyl-prolyl cis-trans isomerase NIMA-interacting 1) is essential for mitosis progression in yeast cells and is hypothesized to perform the same role in mammalian cells. 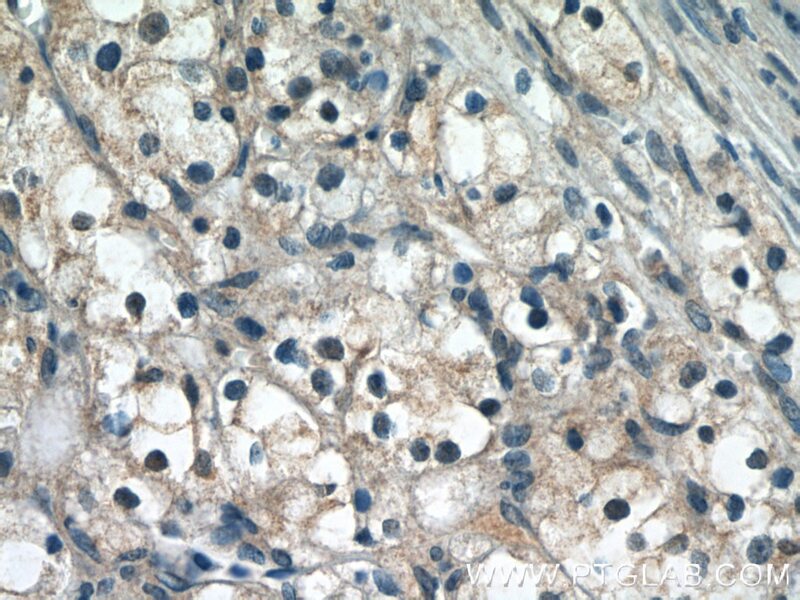 It might regulate cellular processes distinct from the cell cycle itself, such as terminal differentiation through a modulation of differentiation-specific gene expression(PMID:20801874). 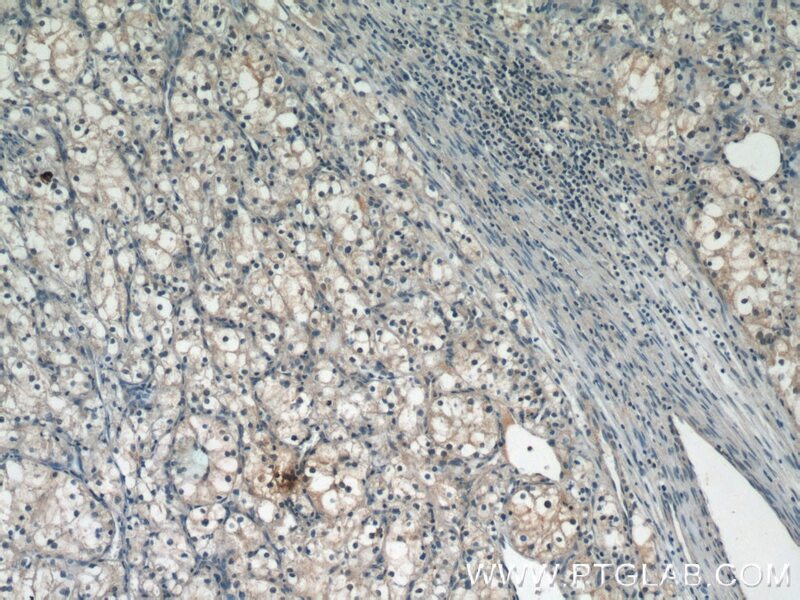 It colocalizes with NEK6 in the nucleus. The Essential Role of Pin1 via NF-κB Signaling in Vascular Inflammation and Atherosclerosis in ApoE(-/-) Mice. 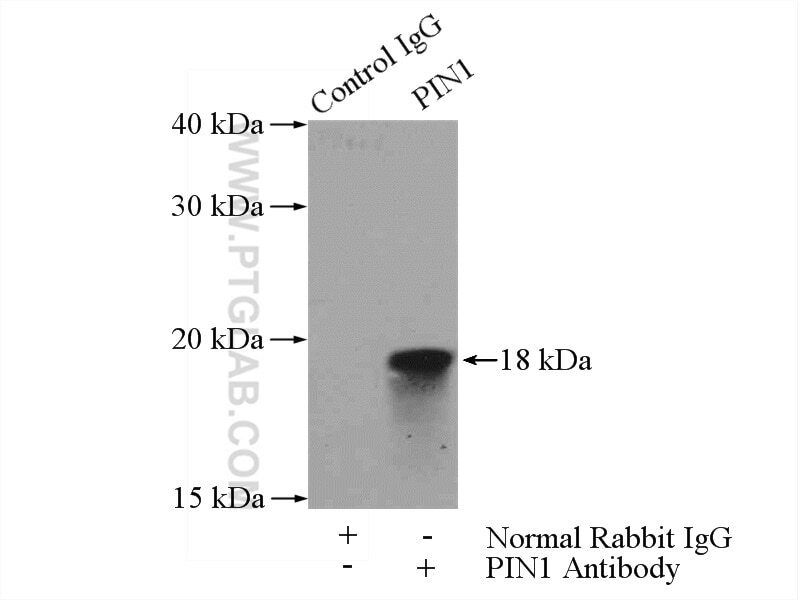 Pin1 promotes GR transactivation by enhancing recruitment to target genes. Pin1 Promotes Regulated Necrosis Induced by Glutamate in Rat Retinal Neurons via CAST/Calpain2 Pathway. TGF-β1-PML SUMOylation-peptidyl-prolyl cis-trans isomerase NIMA-interacting 1 (Pin1) form a positive feedback loop to regulate cardiac fibrosis. Cellular glucose metabolism is essential for the reduction of cell-impermeable water-soluble tetrazolium (WST) dyes.